Beatrix Potter may be a familiar name in children’s literature, but it is lesser-known that she was also a notable woman of science. Her stories about Peter Rabbit and the other fictional animal characters she created served as an outlet to her frustration in failing to enter into a career in science. 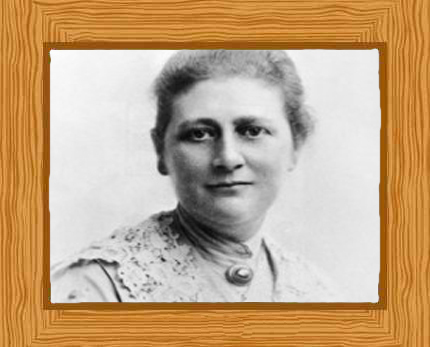 Helen Beatrix Potter was born on July 28, 1866 in London as the older of the two children of Rupert Potter and Helen Leech. Rupert Potter was a lawyer and the Potters lived a comfortable life. Her parents mingled with politicians, writers and artists, and enjoyed drawing and painting immensely. Beatrix possessed a keen eye for details which showed in the art she created from her younger years through to adulthood. Beatrix Potter may have come from a well-off family, but she did not grow up to be like the other wealthy ladies of the same age. She spent most of her time at home under the care of a governess while her brother Bertram was sent to some of the finest schools known. When he was home however, the siblings spent a lot of time together playing with creatures that they found around their property and in the woods where they explored. Beatrix and Bertram would often bring these creatures home and draw or paint them. Their collection included a hedgehog, some rabbits, bats and mice, as well as a few insects. Beatrix grew up to be a very shy girl and would rarely share her thoughts with anyone. She wrote in a secret diary using a code that only she could understand. Beatrix’s interest in natural science was spurred when her uncle who was a chemist gave her the permission to use his microscope and other equipment. She would study and inspect plants, insects and animals, and she would draw each of them in great detail. It was in South Kensington Museum that Beatrix Potter further developed a keen interest in natural science. She was eager to learn more about botany (study of plant life), mycology (study of fungi) and entomology (study of insects). What fascinated Beatrix the most were fungi. She started a detailed study of them when she turned 21. Her drawings showed in great detail how lichens, a common type of fungi found on rocks and trees, were actually not one but two different organisms that lived together. Her studies showed that this was a union between an alga and a fungus. She was the first Briton to recognize this fact and was also among the first few in the world who realized this. From this discovery, she formulated her theory of symbiosis. Through symbiosis, two different organisms are able to live together, with each of them benefitting the other in some way. In the case of lichen, the fungus provided a haven for the alga. The fungus was responsible for gathering the water and minerals that both organisms needed; the algae needed water and minerals to complete the process of photosynthesis. In turn, the alga converted the sunlight into nourishment utilizing the photosynthesis process. It took her 13 long years to complete her research and finalize her paper on her discoveries. Beatrix’s theory was not given the support that it needed. Botanists she showed her work to refused to even discuss the drawings she made. The only time she was given the permission to present her work to The Linnaean Society of British Scientists was when her uncle interceded for her. She submitted her study “On the Germination of the Spores of Agaricineae” but was not allowed to read it herself because, at that time, only men were invited to their meetings. It was very frustrating for Beatrix Potter not to be accepted into the scientific circles. Because of this she started to concentrate on her drawing and writing instead. She had always been a self-taught artist and used different media in her work. She had the ability to illustrate using pencils, oils, watercolor, pen and ink. She also followed her father’s footsteps in developing her talent in photography. She became famous for the characters that she told stories about in the children’s books she wrote and illustrated with Peter Rabbit, Benjamin Bunny and Jemima Puddle Duck being among some of the most well-loved. The Tale of Peter Rabbit was published in 1902 when she was 36 years old. All in all, she had 28 books published, which are still read by children all over the world. Over 150 million copies of her books have been sold and have been translated into 35 different languages. As her books gained popularity, she channeled all the profit towards a large property called Hill Top which she purchased in 1905. Situated in England’s Lake District, this was her first farm. She enjoyed the quiet and solitude that the thirty-four-acre property brought her and this allowed her to work more efficiently. Aside from being a farmer and landowner, Beatrix also became recognized as a sheep breeder. She never lost her love for nature and became an advocate of traditional farming and the preservation of the wild environment surrounding the area. She met William Heelis, a tall, handsome solicitor who was 5 years her younger. He became Beatrix’s legal adviser and Beatrix’s husband of 30 years. The marriage did not bear them any children. She continued buying patch after patch of land as she continued to enjoy living surrounded by nature. The British Natural Trust eventually became recipient to her donation of 4,000 acres of land which includes 15 farms and cottages. By doing so, Beatrix hoped to further pursue her dream to provide land for the creatures that she grew to love. Beatrix Potter died of bronchitis in 1943, aged 77, leaving behind a legacy across different fields of study. Upon her death, the secret diary she kept as a child was also released, setting forth a story of frustration for not being given the chance to pursue her passion for science early on.